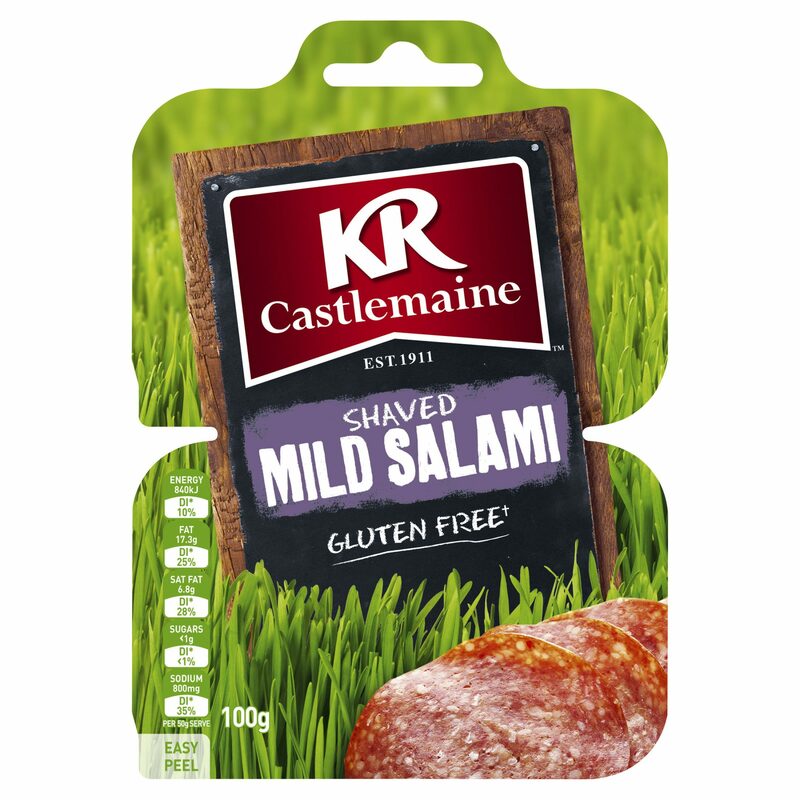 KR Castlemaine Shaved Mild Salami – carefully matured, perfect for a flavoursome lunchtime sandwich! Meat Including Pork (95%), Salt, Soy Protein, Dextrose (Tapioca or Maize), Spices, Maltodextrin (Maize), Antioxidant (316), Vegetable Powder, Emulsifier (451), Fermented Rice Flour, Natural Flavouring, Herb Extract, Sodium Nitrite (250), Starter Culture. Smoked. 100g (50g x 2) x 6 M.A.